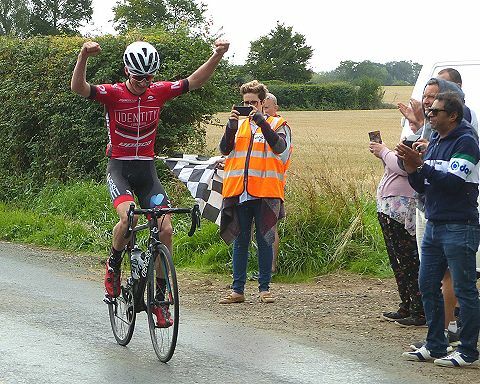 Under 23 Irishman Cian Smailes (N-Fuse Identity Racing) won the Orwell Velo Road Race, crossing the finish line near Otley in mid-Suffolk 45 seconds ahead of the bunch sprint for second place. Smailes, from Dingle in West Kerry, was starting a late season foray in England in search of points for his second cat licence. 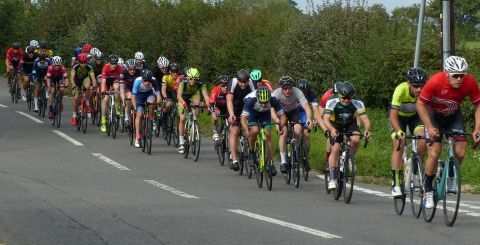 The 60 mile race was held on a new 6.5 mile Helmingham-Ashbocking-Otley circuit described by some as “A sprinter’s course” compared to the more attritional Crowfield-Framsden version based at the same Gosbeck Community Centre. At around half- distance Colin Peck (Chelmer CC) and Istvan Varga (Rapha CC) held a small lead through Ashbocking, but were hauled back. Meanwhile Smailes was concentrating his efforts on getting away on the climb through Otley but without success. 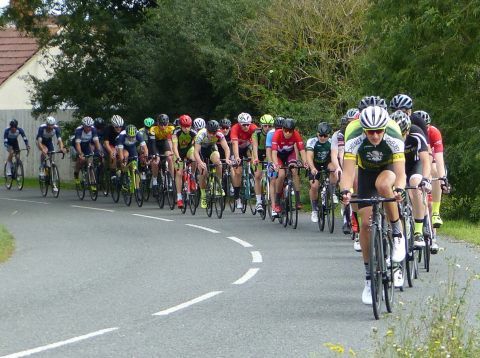 Then on the southbound leg out of Helmingham Smailes, on the inside front of the bunch, realised to his surprise that he had ridden off the front of the race. Many in the bunch were likewise unaware. Not so veteran roadman and CX champion Tim Guy (DAP CC) who bridged to join Smailes and the pair worked together to extend the lead. 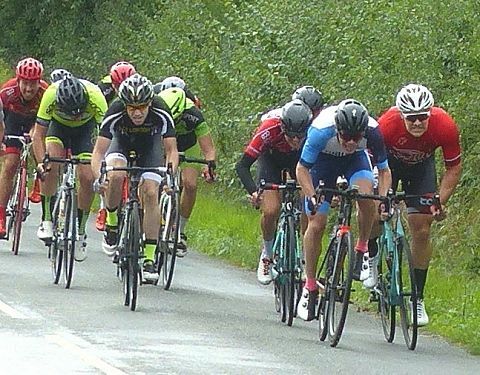 However the young Irishman was in chatty mood and Guy, finding himself running out of breath for combined racing and conversation, elected to drop back to the shelter of the bunch rather than risk blowing completely.